Updated Saturday February 9, 2019 by Bret Lavey. 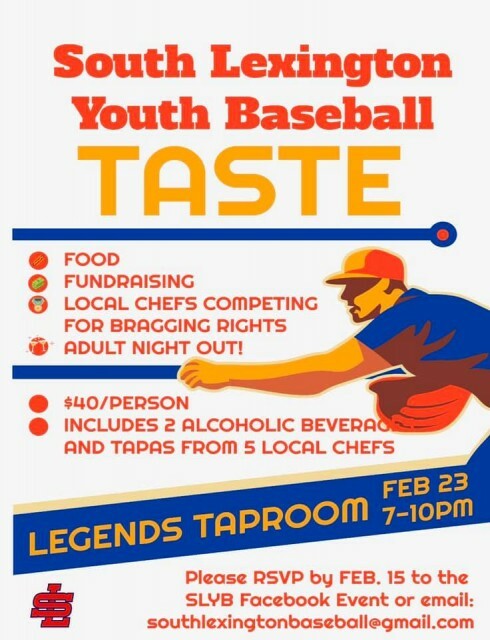 Join us on February 23rd, 7 pm at the Lexington Legends' Tap Room for our first annual SLYB Taste event, a food competition and get together with great local chefs. Pay here through PayPal to reserve your spot and save time when get to the event, just show the confirmation e-mail when you arrive. our judges from KSR, Matt Jones and Ryan Lemond! Look for more info on silent auction items and other details coming soon!